Thank you, Bro. 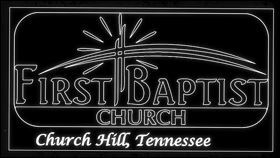 Gary and Donna – First Baptist Church – Church Hill, Tn. In August, 1983, Bro. Gary Gerhardt came to First Baptist Church, Church Hill, Tn. as our pastor. On Sept. 2nd, 2018, we honored Bro. Gary and Donna for 35 years of service to our church. Thank you for your continued perseverance and love for God and our church. We pray for God to continue to bless you and keep you in His care. Below are some of the “surprise” pictures of Mark Derrick making his presentation to Bro. Gary.